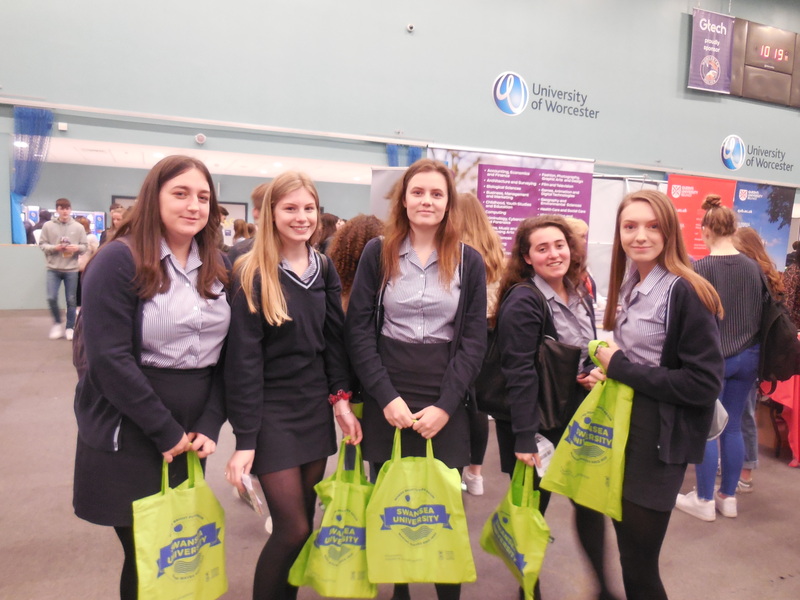 100 Year 12 students attended the UCAS Higher Education exhibition at the University of Worcester on 21t March to begin their research into the opportunities that they have post A levels. With over 120 exhibitors there were lots of different stalls offering a wide range of options for the students to consider. The vast majority were representatives from universities and colleges but there were also exhibitors giving information about apprenticeships and internships as well as representatives from the Armed Forces. UCAS experts were also on hand to answer questions about the more general aspects of applying to university. The students all came away heavily laden with prospectuses from the different institutions as well as other promotional goodies: post-its, pens, bags, water bottles, confectionery and sunglasses. On 19th March a group of students also visited the Oxbridge Fair at Edgebaston where they attended workshops and seminars about different aspects of the Oxbridge process and making a competitive application as well as some subject specific talks. We also have a group of nearly 30 students participating in Cambridge University’s HE Plus programme. They have attended several talks about university as well as skills based sessions on such things as research. The programme also includes subject specific talks aimed at helping the students to think beyond the curriculum in different areas and discuss complex and challenging ideas. 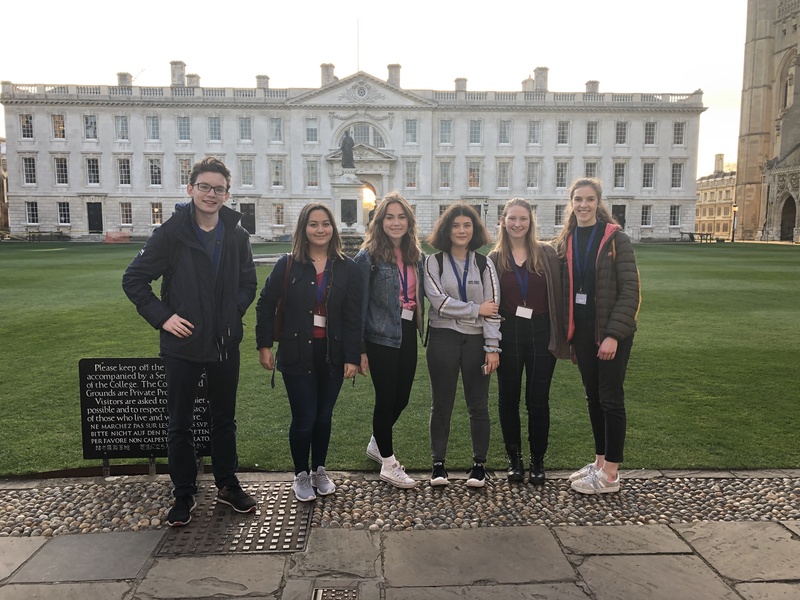 6 of our students were invited to attend a residential at Christs College Cambridge to experience life and study in a Cambridge college which they found very stimulating and exciting. The exhibition marks the beginning of the careers process for year 12. We hope that they will read through all the materials that they have gathered and begin to consider the different types of courses and opportunities on offer. On June 12th we will have our internal Next Step Conference at which they will attend talks and workshops delivered by universities, colleges, employers, and providers of apprenticeships, internships and gap years. There will also be a talk about Higher Education Applications for parents on the evening of June 11th. Following this their tutors will use form time to deliver other aspects of our careers programme and to help students who are looking at university to begin their application process. Mrs Tozer, the tutor team and I are looking forward to helping our year 12 students navigate through their options.